Bollywood superstar Kareena Kapoor was spotted at Mumbai's Mehboob Studio on Sunday. 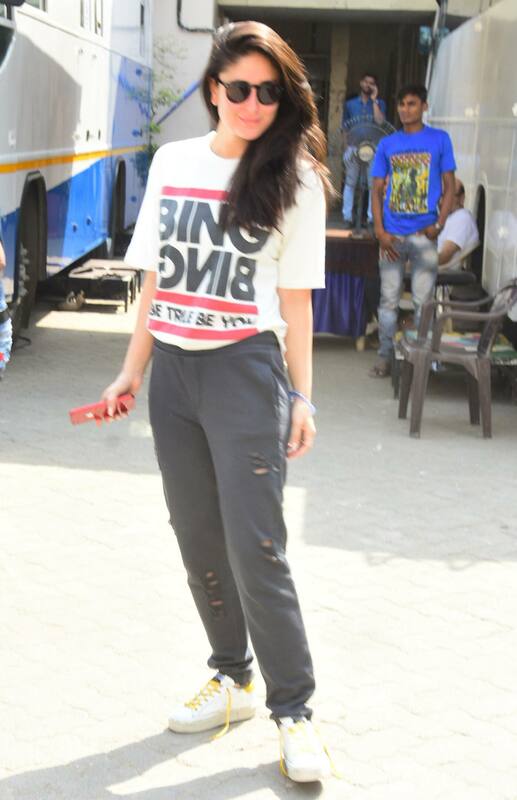 The actress dressed in a cool t-shirt and joggers posed for her the shutterbugs. Bebo, who has two big projects in hand, was reportedly shooting for a brand in Mumbai. Kareena is currently shooting for Good News with Akshay Kumar. The actress will play the role of a pregnant woman in the film. Post Good News, Kareena will be seen in Takht which is produced by Karan Johar. The film also stars Ranveer Singh, Alia Bhatt, Janhvi Kapoor, Anil Kapoor, Bhumi Pednekar and Vicky Kaushal. Kareena's little munchkin Taimur is the most-searched celebrity on social media. Kareena was last seen in Veere Di Wedding.